Homes built in the 1930s almost always contain lead paint. We know now that was a bad idea. But how bad? 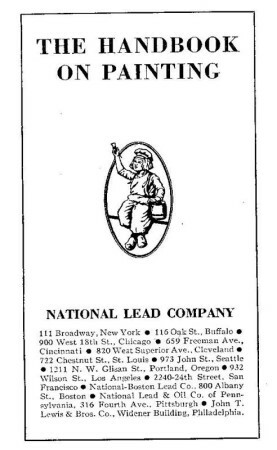 Here is an excerpt from a Dutch Boy Paint manual showing how much lead was recommended for various uses. The formulas are quite revealing. Download the excerpt (2 Mb PDF) or inquire at info@renovatedsm.org if you are interested in obtaining the full document for research.